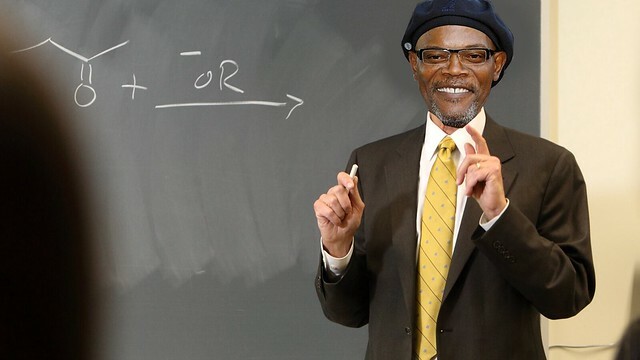 The Daniel Adams Experience » DS106 Final Project: The Rise and Fall of Samuel L. Jackson, Ph. D.
One of the most overlooked and often forgotten departments at the University of Mary Washington is the CPR department, or the Department of Classics, Philosophy, and Religion. 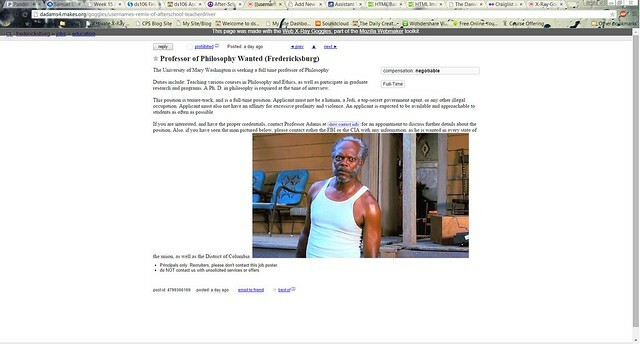 Though many students and some professors may disregard the department, none disregard its most esteemed professor: Samuel L. Jackson, Ph. D. Professor Jackson received his Ph. D. in Philosophy from University of California, Berkeley. His area of expertise is Contemporary Philosophy, and he has published numerous scholarly articles on the subject. Professor Jackson is the most captivating professor that I have ever met, and it is because of him that I have fallen in love with Philosophy. He is my hero, and has inspired me to become the best that I can be. Recently, however, Professor Jackson has become irritable towards his students and colleagues. To attempt to find out why, I decided I would approach him after today’s lecture. Unfortunately, Professor Jackson rushed out of the classroom immediately after he concluded his lecture. I dashed out of the door after him, but the professor was nowhere in sight. I searched Trinkle Hall head to toe, but I still could not find Professor Jackson. He was not in his office, or any of the classrooms. Just as I was about to give up and leave, I spotted Professor J. trying to slip out the side entrance of the building. I quickly ran over to him to ask him some questions. It was a To-Do list! There was no doubt that the contents of this list were what was causing Dr. Jackson so much stress. I flipped through the rest of the notebook, but found nothing else of interest. After pocketing the notebook, I made my way back home. I was shocked! The professor had lost his job over his irritable attitude, and even worse, he was wanted by the police! 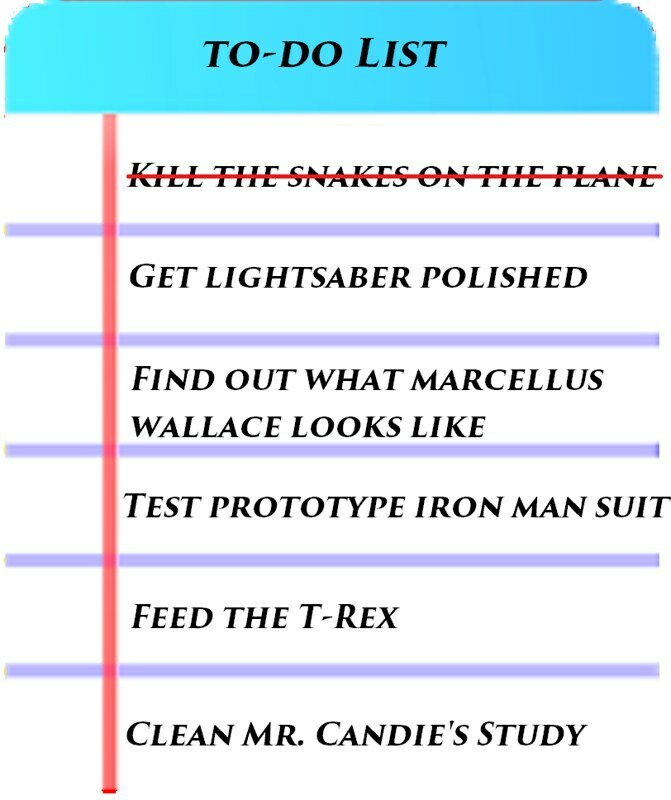 In disbelief, I looked at the list in the professor’s notebook again and realized how odd the items on the list were. I thought of professor Jackson as a second father, there was no way he was a killer! After much thought, I reluctantly picked up my phone and dialed the local sheriff’s department, and proceeded to tell them everything I knew. To find out more about my investigation today, click here.